Arthur Murray Dance Gift Certificates Now Available! Give the gift of dance, this holiday season and for all of life’s great events, with a gift certificate from Arthur Murray in Mount Kisco, NY. 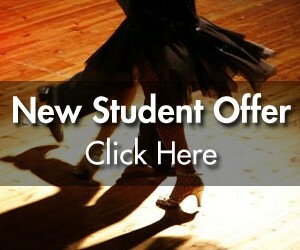 Arthur Murray dance studios have been teaching people of all ages, and skill levels how to dance for over 100 years. Our team of professional dancers will instruct you on the basics of ballroom dance, teach wedding dance choreography, and many other styles of dance, to get you moving to the music. Packages are available for 2, 5 or 9 private lessons and include unlimited access to the studio for Group Classes / Parties / Floor time for Practice. Limit 1 package per household / valid for new students only (not available for current students).